The Board of Directors of Seylan Bank PLC has appointed its non executive Director and LOLC Group Managing Director/CEO Kapila Jayawardena as Deputy Chairman of the Board with effect from September 10, 2018, according to a CSE filing. 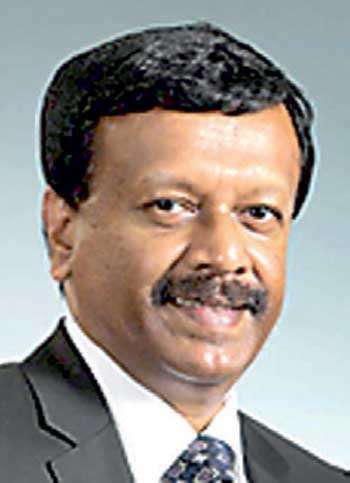 Earlier this month, LOLC Group Deputy Chairman Ishara C Nanayakkara who was on the route complete as a board of director, tendered his resignation from the Non-Executive Director and Deputy Chairman of Seylan Bank due to increased business commitments and responsibilities. Jayawardena holds a MBA in Financial Management and is a fellow member of the Institute of Bankers and an Associate Member of the Institute of Cost and Executive Accountants, London. He served as Country Head and CEO (Sri Lanka and Maldives) of Citibank NA from 1998 to 2007. .Jayawardena joined LOLC in 2007 as the Group Managing Director/CEO of LOLC Group and is also the Chairman/Director of the Eden Hotel Lanka PLC, LOLC General Insurance Ltd,LOLC Securities Ltd, Palm Garden Hotels PLC, Browns Capital PLC, Director Seylan Bank PLC, BRAC Lanka Finance PLC , Brown & Company PLC, Riverina Resorts (Pvt) Ltd, LOLC International (Pvt) Ltd, Browns Investments PLC, Browns Advanced Technologies (Pvt) Ltd, LOLC Asia (Pvt) Ltd, LOLC Private Limited, Ceylon Graphene Technologies (Pvt) Ltd and Sri Lanka Institute of Nano Technology (Pvt) Ltd. Moreover, He also serves on the Boards of the subsidiaries of the LOLC Group. Jayawardena would represent the material shareholders of the Seylan Bank: Brown & Co PLC and LOLC Investments Ltd.
LOLC Investments currently owns 9.55 percent and Brown and Company owns 13.87 percent of the voting shares of the bank. In addition, Lanka ORIX Leasing Company PLC has 43.93 percent interest in the non-voting shares.